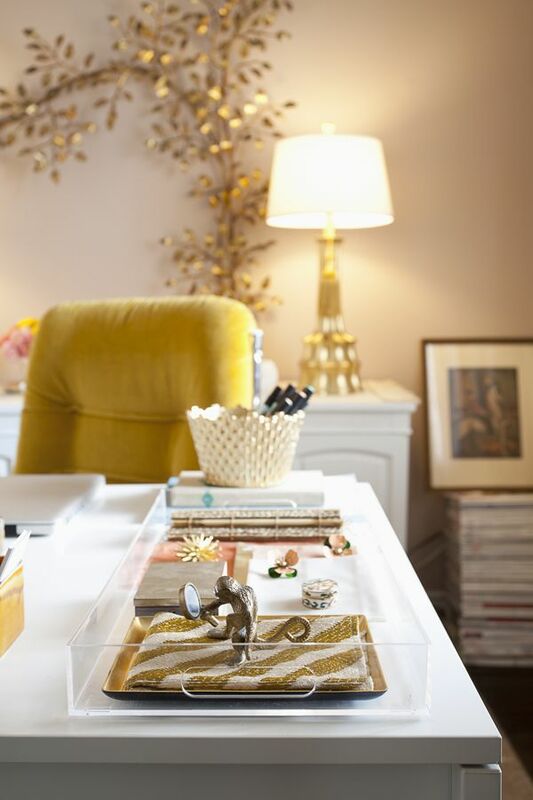 Trays are a great way to keep various spaces around your home organized, while also adding a decorative touch. I have a number of trays scattered around my place, all for unique purposes. The acrylic one in my bathroom keeps all my skin care and makeup together in one place, the gold one next to my bed holds my pretty perfume bottles, and the one on my dresser separates all of my necklaces and bracelets. 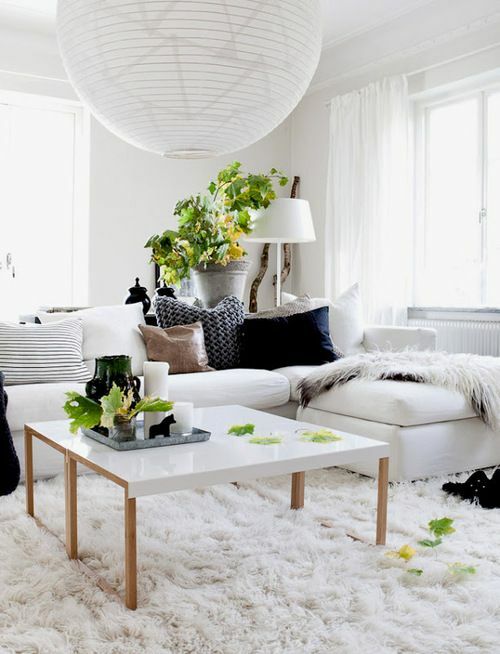 I also love the way they are used in living rooms: containing candles, coffee table books, vases and other cute decor. 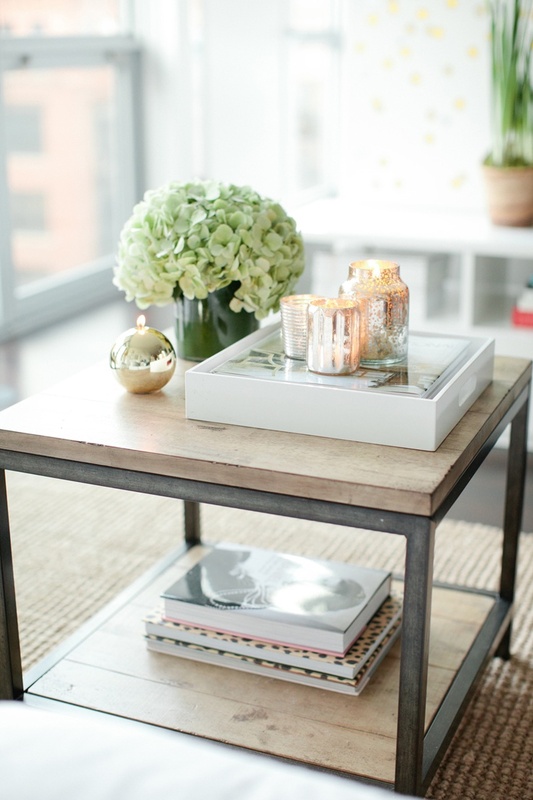 Below are some trays I recommend to get the look, but this gold one is my favorite. Did I mention this beauty is on sale? 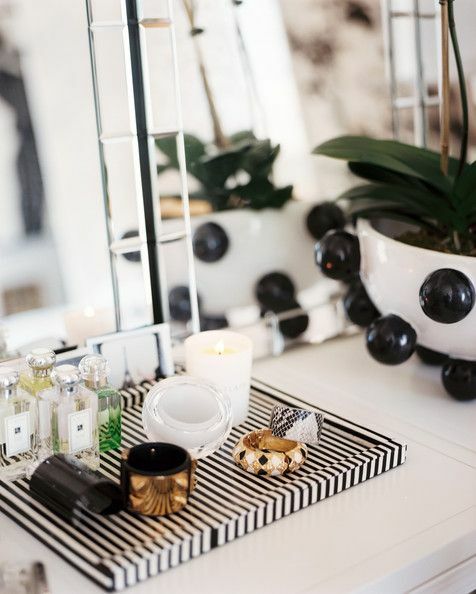 That black and white striped tray is TOO cute!! I have a black and white one with gold borders and I love it. 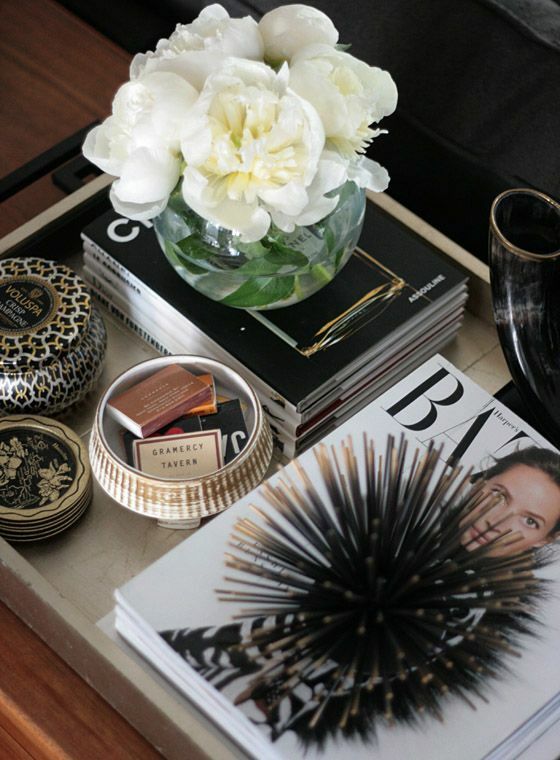 I love white lacquer and lucite trays! I have one for my perfume too! Such a gorgeous selection of photos. I agree with you! 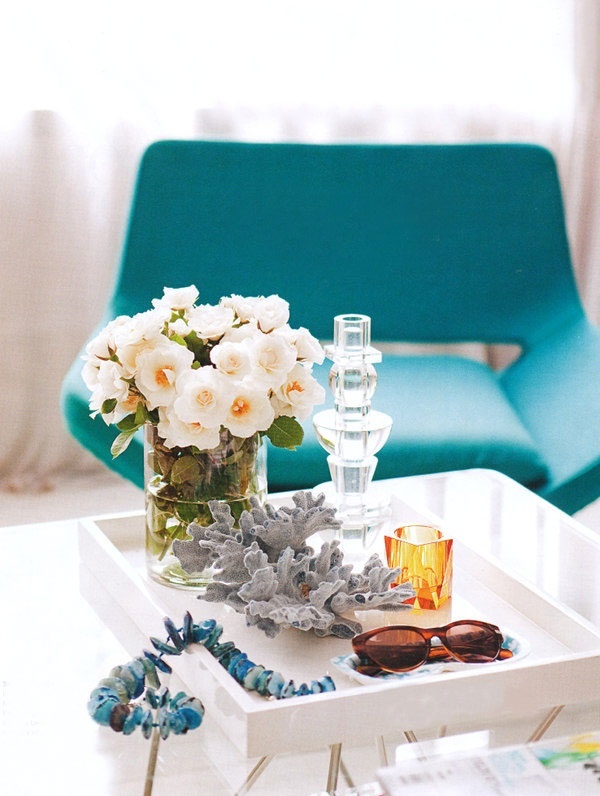 Trays add such a gorgeous touch to any room. I’m seriously loving your blog. 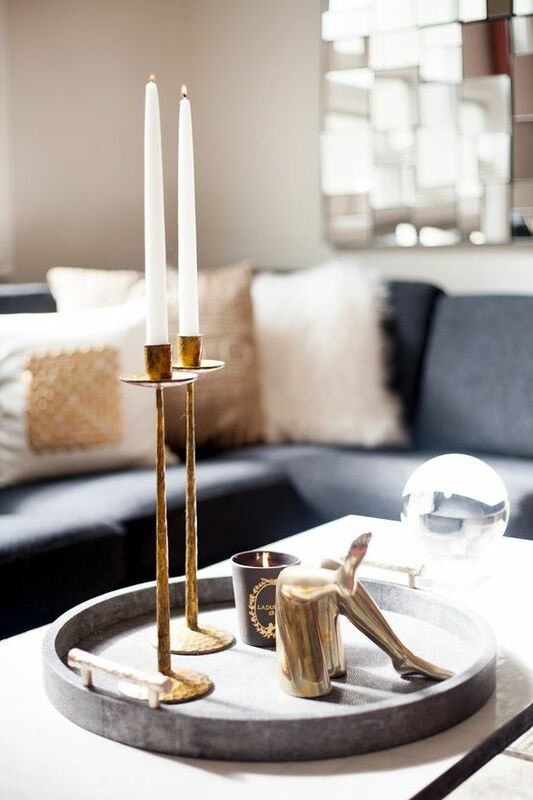 Now following you on Bloglovin! All are nice, especially the white lacquered, stripes and round versions.